The Rise Credit would boost existing tax credits for workers by an estimated $2.5 trillion, according to the 2020 candidate's campaign. 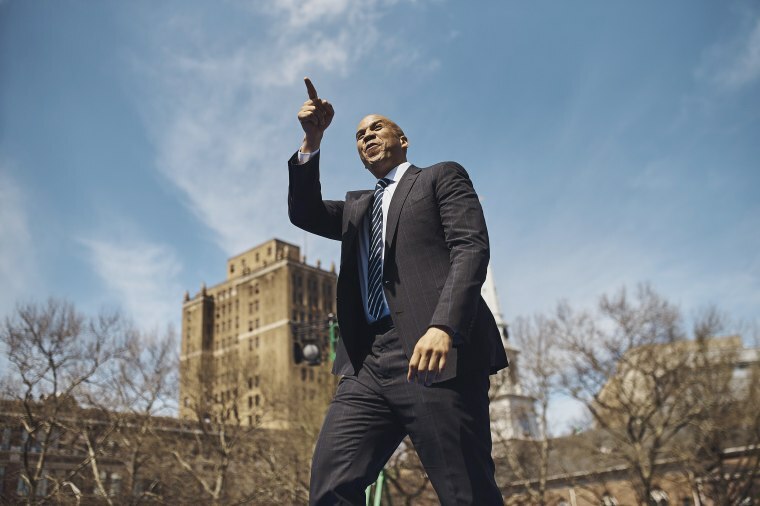 WASHINGTON — Fresh off launching a national campaign tour over the weekend, Sen. Cory Booker, D-N.J., unveiled a new proposal on Monday to cut taxes for over 150 million Americans. The Rise Credit, as the campaign has dubbed it, would expand on the existing Earned Income Tax Credit, which supplements wages for lower-income workers. Booker’s plan calls for expanding the tax credit's benefits to higher incomes — from a maximum income of $54,000 to $90,000 for married couples — and raising the maximum benefits as well. Joint filers could receive a 25 percent higher maximum credit, topping out at about $8,000 per year. The plan includes a bigger bump in benefits for childless workers, whose tax credit payout is currently capped at about about $500, but would rise up to about $4,000 under Booker's plan. The proposal is similar to one put out by Economic Security Project Action, a group that advocates for broadening and restructuring the EITC. An analysis of that plan by the nonpartisan Tax Policy Center estimated it would add $2.5 trillion to the deficit over 10 years. Booker's campaign said the senator would finance his proposal by taxing income from investments similarly to other types of income, rather than using a lower capital gains rate. "It’s unconscionable that hedge fund managers can pay a lower percentage of their income in taxes than their secretaries," Booker said in a statement announcing his proposal. "That's wrong and must change. Creating a fairer, more just tax code begins with putting money in the pockets of Americans who are struggling to get ahead." Booker's proposal is the latest in the 2020 Democratic field that would provide direct cash payments to workers via tax credits or similar benefits. Sen. Kamala Harris, D-Calif., has the LIFT Act, which would create a monthly tax credit of up to $6,000 for families and $3,000 for individuals that's accessible to couples making up to $100,000 a year. Sen. Michael Bennet, D-Colo., who is weighing a run for president, is co-sponsoring legislation that would expand the Earned Income Tax Credit as well as the Child Tax Credit. Businessman Andrew Yang is running on a plan to pay every American adult $1,000 a month. Booker and Harris also have proposals to subsidize housing costs for residents who pay over 30 percent of their income in rent. "They're all responding broadly to a situation in which wages are flat, everything costs more, and we have to help people close the gap," said Adam Ruben, director of Economic Security Project Action. In addition to the Rise Credit, Booker has released a plan to give every American a “baby bond” on birth that grows depending on family income and would be accessible to young adults to help pay for education or start their career.